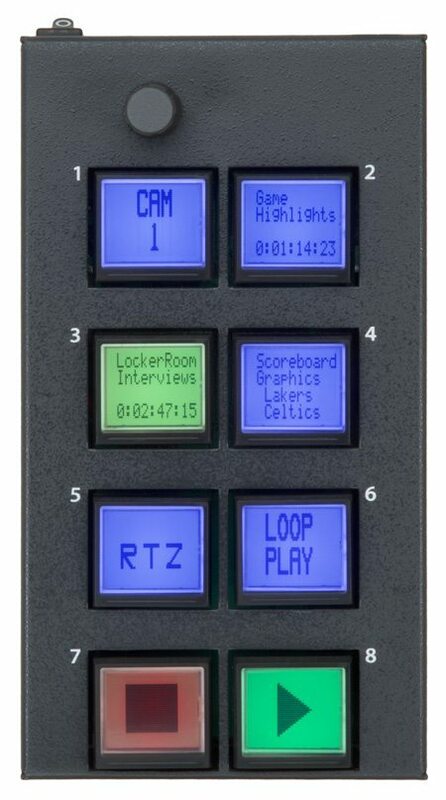 SharpShot is a compact desktop controller with eight, hi-res, remotely-relegendable 64 x 32 LCD switches that can display up to 40 characters of text and graphics using built in command driven serial interfaces. Software controls the interface, display and backlighting. Data only needs to be transmitted when a change is made. The switches incorporate a graphical LCD with RGB backlighting and are capable of displaying up to 64 colors and can be used to alert users to changes in operating conditions. SharpShot provides instant audio or video playback and control for broadcast automation, post production and other specialised applications.